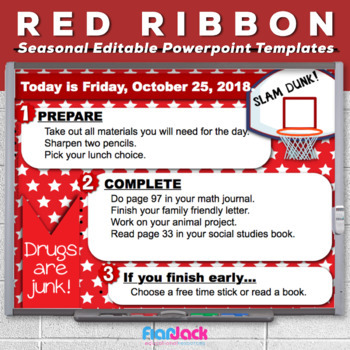 Brighten your room during RED RIBBON week with these editable PowerPoint templates that you can use to display morning work or seat work instructions. 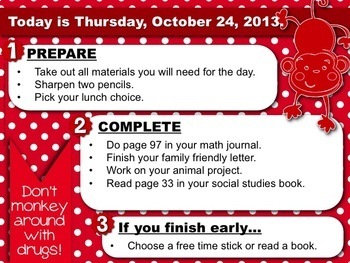 This resource contains five PP slides (one for each day of the week), and there are two templates to choose from for each theme. 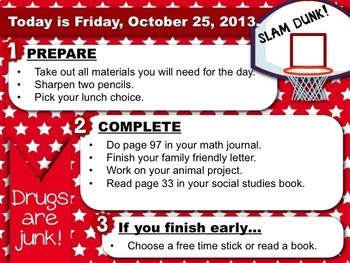 Watch the Morning Work PP Templates Bundle VIDEO. All text that you see in the preview and thumbnails is editable (except for the numbers). **The instructions are not meant to serve as actual work assignments, just as an example. 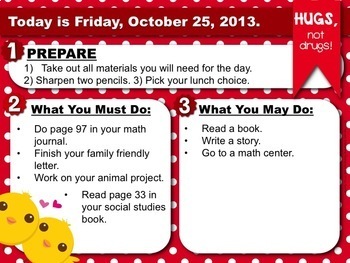 Check out my Owl Themed Morning Work Templates PACK!